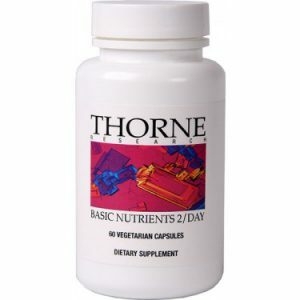 Community Farmacy is proud to offer an extensive line of supplements from Thorne Research. 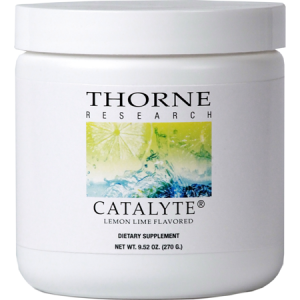 Thorne prides themselves on providing research-based, high quality products, and several United States Olympic Teams’ National Governing Bodies have adopted Thorne Research as their exclusive nutritional supplement partner. When you purchase Thorne Research products from Community Farmacy, you can rest assured that you’re receiving safe, clean, and carefully monitored and tested nutritional supplements – just like America’s top athletes. Read more about Thorne’s partnerships below, and stop in or call us today to order Thorne products for yourself! NEW YORK, June 7, 2016 — In a move to bring the highest level of nutritional science and quality to the well-being of their athletes, elite and professional teams are vetting the most effective and safest nutritional supplements to support athlete health. Seven U.S. National Governing Bodies (NGB’s) have signed partnership agreements with Thorne Research to be their exclusive nutritional supplement partner, and agreements with several additional NGB’s are pending. These multi-year agreements will launch in 2016. Thorne Research’s participation, in collaboration with the NGB’s coaches, doctors, and sports science specialists, will be integral to the health and wellness programs within these prestigious governing bodies, including USRowing. “Our athletes’ health is our highest priority and cannot be placed at risk. Athletes may have nutritional or physiological demands that require supplementation, and USRowing’s partnership with Thorne Research will assure that our athletes are receiving safe, clean, and carefully monitored and tested nutritional supplements,” says Dr. Jo Hannafin, USRowing’s Head Team Physician. “It is critically important to ensure that standards for quality, safety, and content be demonstrated for nutritional supplements that may be used by our athletes,” she says. As part of the NGB partnerships, Thorne Research will provide the NGB’s National Team members nutritional supplement products with the highest level of certification, baseline nutritional level testing through WellnessFX, educational materials, and risk protection with product liability insurance. In addition, these elite athletes will have access to reliable health information from Mayo Clinic, which has been compiled for easy access on the Thorne Research website. This content will help athletes evaluate nutritional supplement usage and better understand nutritional supplement labels, manufacturing, and regulation, all provided by an objective resource. Thorne Research is also embarking on several clinical research studies at Mayo Clinic, including the effect of nicotinamide riboside on brain health in collegiate football players, the effect of nicotinamide riboside on altitude acclimatization and team cohesion during an ascent of Mt. Kilimanjaro, and a study of the microbiome in elite athletes. Major advances in the development, medical research, and monitoring of nutritional supplements has enabled Thorne Research to provide elite athletes with nutritional supplements that can assist in accelerating recovery from exercise-induced muscle damage that can result from the day-to-day rigors of training and competition. “Our partnership addresses a great need on the part of competitive and elite athletes. No longer must these athletes fend for themselves trying to figure out which nutritional supplements to take, and where to obtain a safe, clean, and reliable source of nutritional supplements. This partnership follows years of hard work by the NGB’s to help the athletes address that problem. We are honored that these prestigious National Governing Bodies are working with us because of our approach to providing nutritional supplements that are scientifically formulated, rigorously studied, clinically researched, and NSF Certified for Sport®,” states Paul Jacobson, CEO of Thorne Research. As athletes reach the highest levels of competition and become more efficient in their sport, they stress specific groups of muscles day in and day out. This daily process of stress and repair requires that their bodies receive very specific ranges of vitamins, minerals, and botanicals in order to perform optimally. For example, competing in a high-stress environment – that is also away from home – requires nutritional supplement products such as a probiotic supplement that provides optimal balance of good bacteria in the gut, and an iron supplement that promotes the formation of new red blood cells, thus optimizing the body’s ability to carry oxygen throughout the athlete’s body. searched-based, high quality natural products including foundational vitamins and minerals, therapeutic-focused nutritional supplements, and soon to include botanical drugs. By leveraging cutting-edge research and personalized data through affiliate WellnessFX, Thorne Research offers customized preventive health solutions for practitioners, their patients, and athletes. Thorne Research is a majority shareholder in WellnessFX, a San Francisco-based personalized wellness company providing home kit testing and actionable recommendations from the analysis of blood chemistry, genetics, and microbiome. Thorne Research is headquartered in New York City with a manufacturing facility in Sandpoint, Idaho. Further information on Thorne Research is available at Thorne.com.